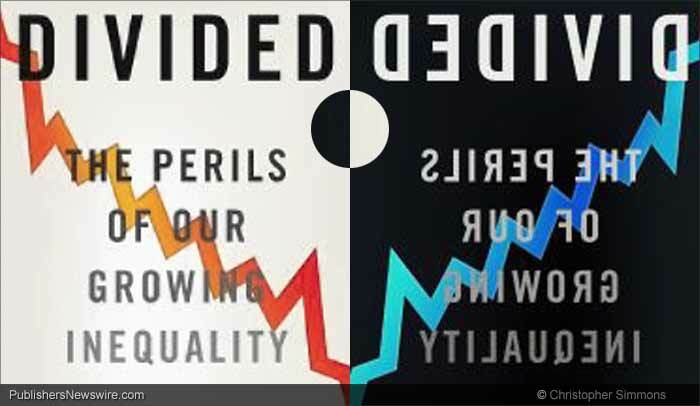 The collection of essays called “Divided: The Perils of Our Growing Inequality” (ISBN 978-1-59558-923-1) covers its important topic from a variety of viewpoints. While a valuable book, it’s also a bit of a hit-or-miss affair because editor David Cay Johnston selected articles that emphasize facts and data whether or not there was any entertainment value in the writing. In choosing inequality, we have opted to give up a broad and strong middle class with rising expectations, growing incomes, broadening home ownership, and access to higher education. In choosing health care inequality, we have decided to dampen millions of spirits, deny a chance at success to millions of children, and turn many hardworking taxpayers into people who become permanently disabled and thus a burden on society, simply because they cannot get corrective surgery or drugs to control their conditions and return to productive lives. The following thirty-nine chapters cover inequality from a number of aspects with discussions about the sometimes shocking disparity in U.S. citizens’ access to education, healthcare, social services, voting rights, income, security, and more. There are books that are a stone-cold delight to read, books like “Fear and Loathing in Las Vegas” and “Game Change.” There are books that are important but still fun, books like “Dog Whistle Politics” and “The Republican Brain.” And there are books that are crucial and significant but a bit of a slog. in 2001 and 2003, Congress passed two of the most expensive tax cuts for the wealthy in history. And what did it get us? The slowest job growth in half a century. Massive deficits that have made it much harder to pay for the investments that built this country and provided the basic security that helped millions of Americans reach and stay in the middle class — things like education and infrastructure, science and technology, Medicare and Social Security. In addition, the GOP and their fellow travelers in Congress gutted necessary regulation and shunned needed oversight. The result, surprise surprise, is what we have now: incredible and repeated horrors in our real estate, banking, and investment sectors to the point where millions of Americans have been — and continue to be — harmed. 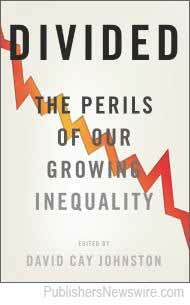 The Joseph E. Stiglitz chapter, “Inequality is Holding Back the Recovery,” is especially noteworthy in that it succinctly outlines the major reasons why inequality is preventing us from enjoying a more robust economy. He lays it right on the line with such observations as the GOP is “insisting on low taxes for the rich while slashing services for the poor” and pointing out that this is “the height of hypocrisy,” especially considering that they created the fiscal sludge pit in which the vast majority of us are now swimming. It is not clear what a reviewer should make of some of the writing in this book. Take Kim Bobo’s essay, “Wage Theft,” as an example. The 15-page piece contains a great many excellent points, including one of the most convincing and intelligent arguments in favor of unions I have ever seen. Hers is an article with information that should be a prerequisite for anyone running for elective office. Unfortunately, the paper sometimes seems like it has been passably translated from a none-too-advanced language. The facts and the humanity are on Bobo’s side but she needs to find a collaborator who loves English and knows how to use it. For those of the rightwing nutjob persuasion (yes, I’m talking to you, Paul Ryan), Beth Shulman’s “In the Heart of our Economy and Our Lives” contains vignettes of the problems and indignities of low-wage jobs such as those involving child care, call centers, poultry-processing, and even some areas of healthcare. The language is powerful but is simple enough for a republican to comprehend. Stephen Bezruchka’s “Inequality Kills” provides a brief indictment of the way the U.S. has gone from quality health to the state we’re in today by “focusing on the business of medical care, rather than on producing health.” He outlines several ways we could improve, including the simple idea of starting to actually look at and act on the data: “Let’s measure health outcomes and have every American know how much shorter their lives are than they need to be.” Everyone in Congress should be forced to read this essay. Actually, the whole book should be a part of the beginning of each Congressional session. (Tutors could be provided for the learning-challenged such as Louie Gohmert and Steve King.) Bezruchka also has this wonderful sentence about republicans that should be quoted often: “Agnotologists — those who introduce ignorance into our scientific debates — have been hard at work creating a misinformed American public.” Very sad but very true. Mary E. O’Brien’s “Unequal Quality of Care” is an eye-opening indictment of how lower-income people receive less than a fair shot at leading healthy lives. David Cay Johnston’s piece, “U.S. Health Care Costs the Most — By Far,” is equally disturbing. It also directly attacks the stupidity, obfuscation, and prevarication of the man known as “Lyin’ Ryan,” perhaps the most dangerous of the current crop of troglodytes in the U.S. House of Representatives. Poverty and inequality have been a constant presence in this country, and the causes have been constant, too: disruption and dislocation brought by war and large-scale economic change; sickness, death, fire, and natural disaster; seasonal fluctuations in the demand for labor; discrimination based on race, ethnicity, and gender; the power conferred by inherited wealth and status; and a political system that inhibits the ability of majorities to exert their will over elite minorities. Yet we have been unwilling to acknowledge this, and instead of relieving poverty we blame poor Americans for their condition, rationalizing our neglect with disdain for their supposed lack of aspiration, their poor work ethic, their despair. Writers whose work appears in the book: Frank Ackerman and Lisa Heinzerling; Moshe Adler; Nancy Altman and Eric Kingson; Jared Bernstein; Stephen Bezruchka; Kim Bobo; Chuck Collins and Felice Yeskel; Olveen Carrasquilo and Jaime Torres; Linda Darling-Hammond; Lisa Dodson; Ernest Drucker; Peter Edelman; Barbara Ehrenreich; Robert H. Frank; Leo W. Gerard; Thomas L. Hungerford; Christopher Jencks; Paul Krugman; Robert Kuttner; Glenn C. Loury; Neil deMause; Barack Obama; Mary E. O’Brien; Stephen Pimpare; Sean F. Reardon; Gary Rivlin; Mike Rose; Chris Serres & Glenn Howatt; Donald S. Shepard, Elizabeth Setren and Donna Cooper; Beth Shulman; Adam Smith; Joseph E. Stiglitz; Studs Terkel; Elizabeth Warren; Richard Wilkinson; and Edward N. Wolff. Johnston contributed one chapter and the Introduction. Also credited as an author is the Editorial Projects of the Education Research Center and it displays a perfectly adequate compositional style considering it is an organization rather than a writer. Oh, one more thing from the collection, in this case from a patriotic piece by Robert Kuttner: “A prosperous economy demands investment in children, in health, in education, in job training, in public systems, in the commons generally.” Amen.